Toy Drive! We’re Collecting Toys at Our Branch Locations. Help Spread a Little Holiday Cheer! BrightStar Credit Union is holding our Annual Holiday Toy Drive. 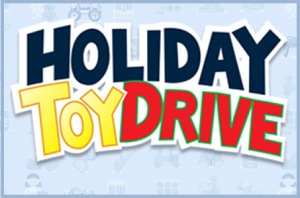 The toy drive is a great way for members and BrightStar employees to help make a difference. We have partnered with Family Central Inc. on this project. We’ve placed a Toy Drive drop box in each BrightStar location for you to make toy donations. NEW unwrapped toys are needed for ages infancy to 17 years. Please click here to view a list of suggested items. The deadline to drop off toys at BrightStar is Monday, December 16, 2013. Gift cards and movie passes are also welcome. Help spread the word about the Toy Drive so we can collect as many toys as possible for needy kids. Even small donations can go a long way. We are still collecting donations for the victims of Typhoon Haiyan. Have a wonderful Holiday Season, and thank you for your support. The average American intends to spend $421 on gifts this holiday season. That alone is a substantial amount, but that sum doesn’t even include food, travel and other common holiday expenses. If you throw in the price of a few plane tickets for good measure, you could find yourself deep in the hole by the time the holidays are over. The holiday spirit often overpowers rational thinking, leading some to spend thousands before they know what hit them. However, you, the smart holiday shopper, will have a leg up on them. Consider these seven ways to keep your wallet padded this holiday season without becoming Scrooge! Review how much you’ve spent during previous holiday seasons and remind yourself how long it took to pay off those holiday expenses. Decide whether that level of spending is financially acceptable this year. If not, make your budget a little tighter this time around. If you typically purchase a Christmas tree, add that to the list too. The idea is to cover not just gifts, but everything related to the holiday you celebrate. Having a budget on hand will help immensely when deciding whether or not to pay $100 for that cute little robotic dog. After all, if your gift budget is $300 and you have 14 other people on your list, the recipient will get five times her fair share of your gift money. If you typically purchase gifts for 50 people and want to radically cut your budget to $250 this year, consider dropping Kim from accounting, the mailman, your neighbor’s uncle and maybe even that distant cousin who you haven’t talked to all year. After all, your significant other, children, parents and others you cherish most should be your primary focus. Retailers lay out their merchandise to maximize profits. Thus, if you walk in without a plan, you could easily be suckered into buying items you had no idea even existed. Instead, know what you want to buy and stick with it. Get in, find your pre-planned merchandise, pay for it and leave. To get the holiday worm – if you will – your best bet is to shop as early as possible. Not only will doing so give you the best chance at actually finding the best deal, but prices generally rise as holidays draw near. Ideally, find bargains on your entire gift list on Black Friday, Small Business Saturday and Cyber Monday. Shoppers spend 12-18% more when using credit cards as opposed to cash. That’s because people feel the “pain” of spending money more with the latter. As such, carry only enough cash with you to purchase your target items and leave your cards at home. For online purchases, consider using a debit card. It’s still plastic, but it limits you from spending more than you have. Chances are you’ll hear something like this at some point during your holiday shopping. While the offer may be tempting, it’s likely a bad deal. Such cards encourage you to spend more in the long run and usually have high interest rates. The holidays are about sharing positive moments with loved ones, not swimming in wrapping paper and pretending you like every trinket that will later wind up in storage. Consider toning the spending down a bit, and perhaps doing it as a family. For instance, a family of four might urge the kids to skip buying socks for dad and agree that each child kid gets one big gift and two or three smaller ones versus a new bicycle, video game console and 12 new games. They could focus more on spending meaningful time together. An affordable family outing might be an attractive alternative to presents. By creating a budget, prioritizing and sticking to a shopping list, you’ll clear the path for a financially responsible holiday season. Remember to shop as early as possible and pay with cash. Be sure to let the cashier know you’re not interested in the store credit card! Finally, remember that the holidays aren’t all about gifts. They’re about spending time with loved ones. Keep that in mind and conserving your holiday spending should be a piece of holiday fruitcake. 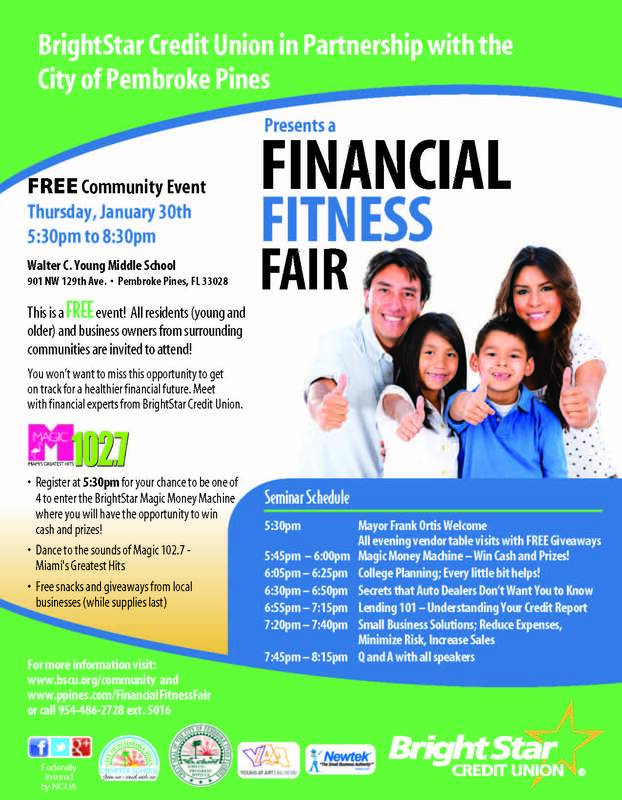 Need extra cash this Holiday Season? Your Credit Union can help with a low-cost Holiday Loan. Borrow up to $5000 for as low as 7.99% APR from BrightStar Credit Union. So go ahead, buy those holiday gifts, go on that special trip or do anything else to brighten up your holiday! Holiday Loans are available now through December 31st 2013. BrightStar Credit Union Chairperson Dr. Dorothy Orr Receives Lifetime Achievement Award! BrightStar Credit Union would like to congratulate Dr. Dorothy J. Orr! Dr. Orr, Chairperson of the Board of Directors of BrightStar, has received the 2013 Lifetime Achievement Award from the Broward Education Foundation (BEF). 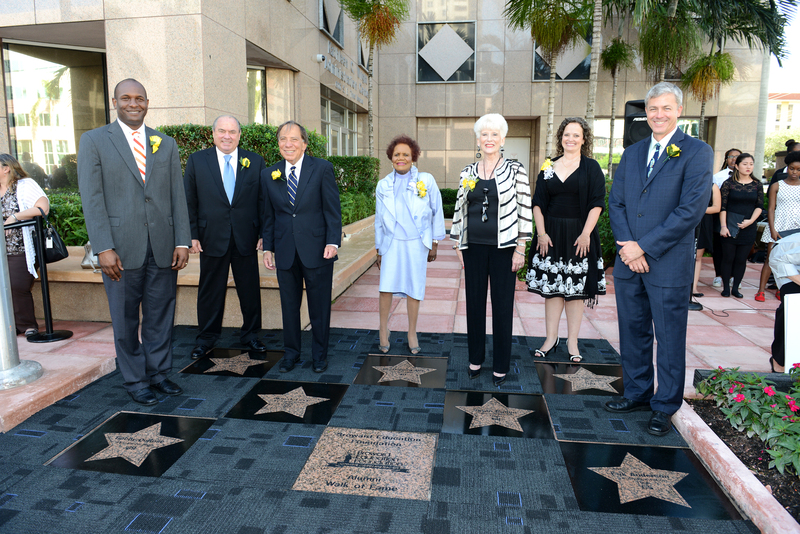 BEF, the nonprofit organization that supports public schools in Broward County, has announced the selection of seven Hall of Fame Distinguished Alumni inductees for the program’s inaugural year. These successful graduates of Broward County Public Schools were honored on October 23 2013. Dr. Orr, who retired after 30 years with the Broward County Public Schools, received the Lifetime Achievement Award. A former school board member and interim superintendent. Dr. Orr’s distinguished career began when she served as assistant principal of Coconut Creek Elementary School in the early 1970s. Throughout the years, she served in such roles as elementary school principal, associate superintendent, deputy superintendent and interim superintendent, winning numerous professional and community awards along the way, including the JM Family African American Achievement Award in 2012. Looking back on her long career, Dr. Orr says her greatest contribution has been to people facing challenges. “I have attempted to remain a positive role model for persons who came from single-parent homes and who have had to overcome adversity,” she said. Congratulations Dr. Orr, your BrightStar family is very proud of you! School’s out & BrightStar’s summer interns are in! This internship offers students a way to see what it’s actually like working in a credit union environment. These summer interns will build professional skills and techniques to use in their future careers. Get to know them! Random Fact: I used to be a wide receiver/ quarterback. What I’m excited to learn about during my summer here: Gaining experience in a real world atmosphere. Random Fact: I’m a BrightStar intern. What I’m excited to learn about during my summer here: I am excited to learn more about credit unions and more about financial operations. What I’m excited to learn about during my summer here: How a Professional environment works and communicates. Random Fact: I own a Kilt. Random Fact: I like Red velvet Cupcakes. What I’m excited to learn about during my summer here: To get real job experience and work as a team. What I’m excited to learn about during my summer here: How to act in a professional atmosphere. What I’m excited to learn about during my summer here: How a credit union is set up and what you do in the lending department. Random Fact: I have a Jack Russell Terrier named Rebbles and she is my best friend. What I’m excited to learn about during my summer here: How to communicate efficiently in the business world.